[Pageant] Miss Astro Chinese International Pageant 2014 《Astro国际华裔小姐竞选2014》 Top 15 Announced! 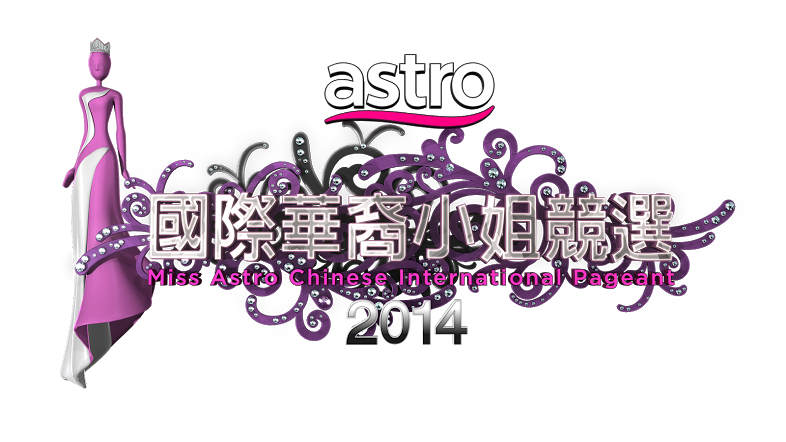 Kuala Lumpur, September 2014 – This is the first time for Miss Astro Chinese International Pageant《Astro国际华裔小姐竞选2014》 to carry out online audition and it has received more than 100 of candidate registration. 45 of the candidate has been chosen for a closed audition whereby top 15 of the contestants have been chosen. These 15 participants are now one step closer to their dreams! 余晓薇（24 years old，Ipoh）、廖紫君（22 years old，Pahang）、许楚瑜（25 years old，Pahang）、朱荟茗（23 years old，Penang）、张嘉文（25 years old，Negeri Sembilan）、刘晓蓓（23 years old、Sarawak）、钟欣燕（23 years old, Selangor）、郭秀文（22 years old, Selangor）、朱婉婷（24 years old，Negeri Sembilan）、黄润媚（24 years old，Kedah）、吴为媚（25 years old，Penang）、黄思嘉（22 years old，Kuala Lumpur）、许愫恩（24 years old，Kedah）、陈玤妤（25 years old，Selangor）& 王淇（21 years old，Kuala Lumpur）. Organized by Astro本地圈, Adonis as main sponsor, MY FM as official radio station, Miss Astro Chinese International Pageant《Astro国际华裔小姐竞选2014》 have had their closed audition which invited Astro Radio中文电台节目总监李志成, Astro艺人管理部经理Sha Sha张雪霞, Adonis 爱美雅集团总裁Ann Lee, international model Amber Chia & Asia famous fashion designer Eric Chong & William Ooi as the judge panels. They have tested the contestants on their eloquence and wittiness to choose the best 15 finalists. Top 15 has high qualification! Judges felt that all of them have equal potentials! Miss Astro Chinese International Pageant this year has attracted many contestants with high qualification. Among the candidate, some of them are law students, engineers and even medical students or graduates. Among the top 15, medical student 郭秀文possesses marvelous eloquence and fluency in speaking. Her confidence has received many positive remarks from the judges. During the audition, she admitted that she used to be in hesitation during her participation in Miss Universe Malaysia 2013 to balance between her studies and the pageant. However, she has decided to take a break from her study for one year to chase her dream in Miss Astro Chinese International Pageant. Besides, one of the other top 15 finalists, 黄思嘉 currently is a local English radio station host. She has received English education since young but she hopes to take the pageant contest as an opportunity to improve her Mandarin. Although she possesses a pretty complexion with big eyes, she was criticized by the judges for her body figure. In regard with that, she explained that there were some family issues lately which caused her to eat a lot to reduce her pressure. In order to take part in the competition, she has been trying hard to reduce her body weights in order to regain a better body figure. Worth mentioning is, another candidate from Top 15, 余晓薇, with a very soft and pretty appearance is a dance tutor who has taken part in many international dance performance before. She is the candidate who has the most international-levels involvement and achievement ever for Miss Astro Chinese International Pageant! The youngest among the top 15 contestant, 王淇 also has a lot of potentials. She was a model for many international fashion advertisement before. During the audition, her straight-forward personality has gained a lot of affection from the judges. After 6 hours of closed audition, the judges agreed that the contestants this year have a very balanced quality and potential. They hope that these candidates can be “levelled-up” through the training, make-over and stylizing in this competition so that they can shine on stage next time! When asked about the major mistakes done by the candidates during audition, the judges stated the major mistakes is that many contestants chose not to wear high heels during the audition. Eric mentioned that high heels is very essential in helping the candidate to present their best appearance. Although some candidates explained that they didn’t wear high heels because they wanted to present the natural side of them while some explained that high heels are not suitable for their talent performance, the judges felt that they should bring along a pair of high heels for their audition. In addition，in order to make the pageant even more interesting, the champions from past 3 seasons of Miss Astro Chinese International Pageant Lenna林家冰, Denise陈楚寰 & Zhiny黄之豫 have also taken part in the production of the show and will also become the tutors for the competition this year. They will be leading the candidate in their challenges and training. Their efforts in guiding the juniors have received many compliments from the other crews. The complete version of 10-minutes《十分美丽本色》 will be aired on Saturday, 10.30pm via Astro华丽台（第311频道）& Astro至尊HD（第310频道）.